We live in a pretty fucked up world, but every now and then something happens that makes me think human beings are actually alright. Usually these things are food related (“taco pizza? I love people”) but sometimes it genuinely is something heartwarming and amazing in equal measure. 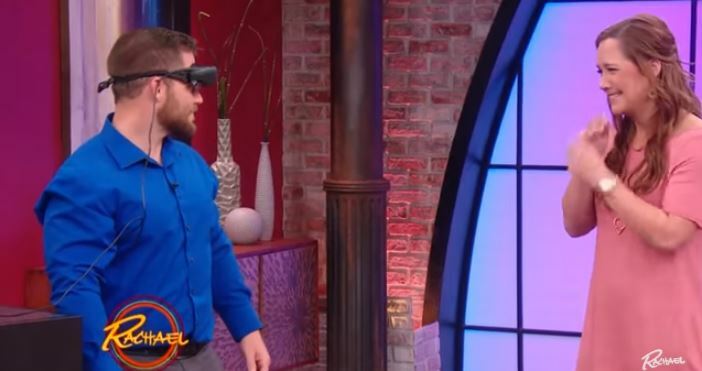 Hunter Tribe – awesome name – is a blind man who had never laid eyes on his girlfriend due to a disease that has given him impaired sight. But CBS TV show host Rachael Ray utilised some pretty nifty glasses that look like they could be straight out of John Carpenter’s They Live. Instead of revealing the truth about the world, they allowed Hunter to see things in a way he had never been able to. Linked up to a camera, the audience sees what he says and watch as he takes in the faces of the audience. The true gut punch comes when he turns to his girlfriend, who is stood there nervously waiting for him to see her for the first time. In an amusing turn of events, he seems to focus on her chest as opposed to her face, but after his initial faux pas, he looks at her. 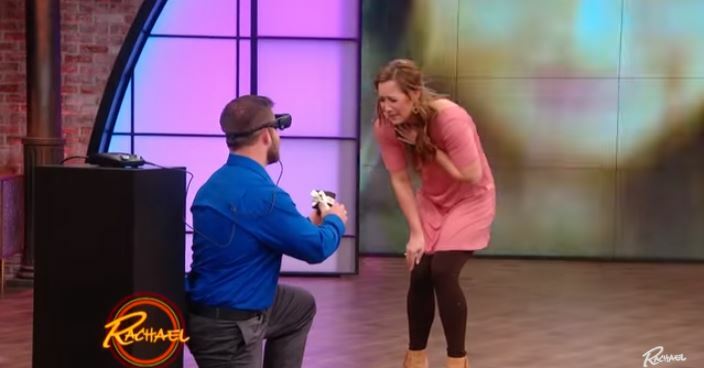 Later on in the episode, Hunter gets down on one knee to propose to his girlfriend and promises that the marriage will take place in one week on Rachael’s show. 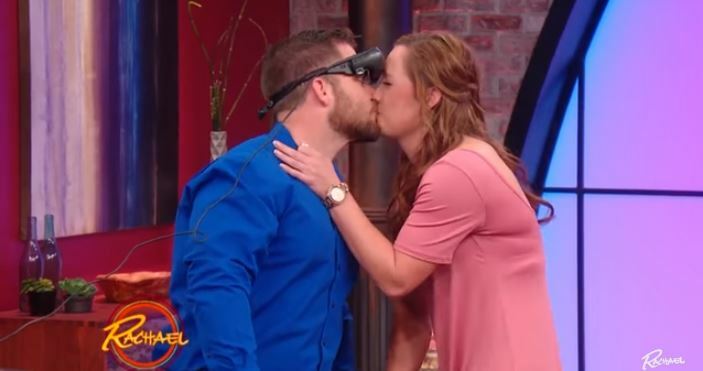 It would probably have been more beautiful if the hosts just took a step back and let him have that moment with his girlfriend instead of shouting over it all. The glasses are reportedly around $15k so you’d have to be a rich blind man to have them now, but you know they’re gonna go down in price. Welcome to the future folks, it certainly is bright.